Iain Murray of the Competitive Enterprise Institute has put together a very depressing column for National Review. To put it bluntly, he exposes the true size of the federal workforce, which has 5.5 hidden employees for every official bureaucrat. Officially, as of 2009, the federal government employed 2.8 million individuals out of a total U.S. workforce of 236 million — just over 1 percent of the workforce. …Add in uniformed military personnel, and the figure goes up to just under 4.4 million. There are also 66,000 people who work in the legislative branch and for federal courts. That makes the figure around 2 percent of the workforce. Yet even that doesn’t tell the full story. A lot of government work is done by contractors or grantees — from arms manufacturers to local charities, from environmental-advocacy groups to university researchers. …Unfortunately, we can’t ask the Office of Personnel Management (OPM) how many government contractors and grantees there are. They don’t keep such records. …Instead, we can ask Prof. Paul Light of New York University, who has estimated the size of these shadowy branches of government. As he points out, while there are many good reasons for the government to use contractors (should the feds really be in the business of making dentures for veterans, as they were until the 1950s? ), the use of contracts and grants also hides the true size of government…By 2005, the federal government employed 14.6 million people: 1.9 million civil servants, 770,000 postal workers, 1.44 million uniformed service personnel, 7.6 million contractors, and 2.9 million grantees. This amounted to a ratio of five and a half “shadow” government employees for every civil servant on the federal payroll. Since 1999, the government had grown by over 4.5 million employees. Professor Light’s figures are from 2006, but there can be little doubt that the size of the federal government has increased still further since. There are those new contractors and grantees working on “stimulus” projects to add. Then there are the employees of bailed-out and partially nationalized firms: General Motors (still owned in large part by the government despite the sale of stock in November 2010), AIG, and a large number of banks. GM alone employs 300,000 people. …Even if it grew at the same rate as it did between 1999 and 2005 (a conservative assumption), that would suggest a further 4.7 million employees dependent on taxpayer funding since 2005, bringing the total true size of the federal government to just under 20 million employees. The video below also discusses the hidden or shadow bureaucracy (albeit briefly, around the 1:00 mark). The main focus of the mini-documentary is how bureaucrats are grossly over-compensated compared to workers in the productive sector of the economy. So the overall message is that there are far too many bureaucrats and they are paid way too much. I’m sick of the TSA and haven’t written about that incompetent bureaucracy since posting a mock press release early last month. But after enduring the slowest-moving line in recorded history at the Miami Airport yesterday, motivation is no longer a problem. So it was serendipitous (in a bad way) to see a story in the New York Times indicating that an Obama political appointee is giving union bosses the power to represent TSA bureaucrats. Seeking to end a debate that has brewed for nearly a decade, the director of the Transportation Security Administration announced on Friday that a union would be allowed to bargain over working conditions on behalf of the nation’s 45,000 airport security officers. Barring some sort of miracle, this guarantees that airport security will become even more tedious and inefficient in the future. Unions are notorious for creating inflexible working conditions. That’s a big reason why American car companies have lost market share (the second half of this post provides a powerful example), but that’s not something the public directly experiences. Everyone who flies, however, will suffer the consequences of importing UAW-style intransigence into the world of airport security. 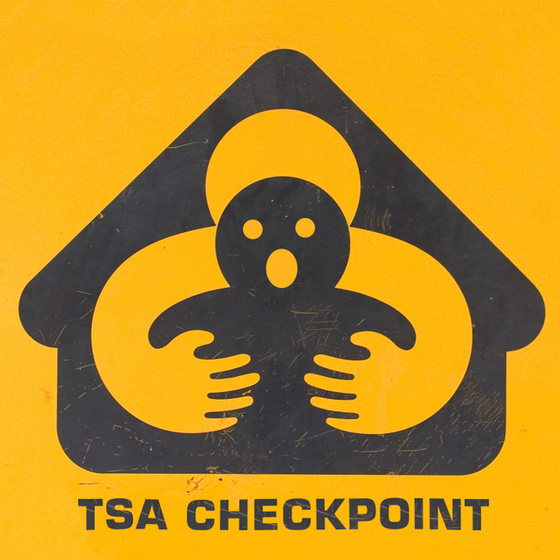 Added TSA incompetence might not be completely terrible news if airports had the freedom to choose a better approach. Unfortunately, the Obama Administration also recently decided to prevent additional airports from opting out of the government monopoly and choosing private companies. There are 16 airports using this more efficient approach and many other airports were about to make the switch, but that option no longer exists. Here are some of the depressing details. The funniest line in that excerpt, albeit in the form of unintentional humor, was Pistole asserting that a government monopoly system would be “more agile” than private companies. It must have been difficult for him to keep a straight face when uttering something so preposterous. There’s nothing funny, though, about politicians and bureaucrats undermining the safety and efficiency of flying. Yet that’s the inevitable outcome of these two reprehensible decisions.